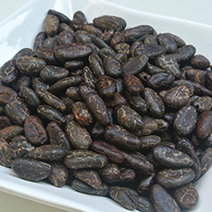 Our cacao beans come from Guatemala and are wild harvested. They are hand prepared by the indigenous people, sun dried and slightly roasted. Enjoy as a snack straight up, dip in maple syrup or honey for a little added sweetness before a workout or a long day. You can also add these to your favorite tail mix for a nutritional boost and a delicious dark chocolate taste.